No matter how many times you’ve done this, managing booth assignments are no easy task! From managing expectations to staying organized in the midst of vendor registrations, we know this is a challenge for conferences, expos, street fairs, festivals and many other events that must manage booth spaces and/or plots. 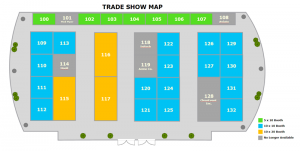 Having a visual floor plan that exhibitors can review is essential. Don’t know where to start? First, check with your venue or your city’s event planning department to see if they have a starting template you can use. You can use standard programs like PowerPoint and Paint to create a simple floor plan. You can take it up a notch with Illustrator and Photoshop or, for the more sophisticated planner, you can try floor planning software like Smart Draw, Easy Blue Print or Lucidchart. Regardless of the tool, be sure to number your booths and include a legend. Be sure to export your floor plan to an image (.PNG, .GIF or .JPG) or .PDF that you can upload and host on your website, event portal or event app. Sharing your floor plan will make it easy for registrants to see what space is available and will reduce the number of location request-related conversations you’ll need to have down the road. Providing an option for your exhibitors to request a location at the time of registration gives them the chance to tell you their preferred location. You can do this easily by including a “Preferred booth” field on your vendor registration form. Just make sure you manage expectations around booth allocations and preferences. Unless they’re purchasing a specific plot or location, a preference is purely that – a preference and not a final location. By asking for booth location, you’ll likely avoid the need to follow up with exhibitors to gather this information. 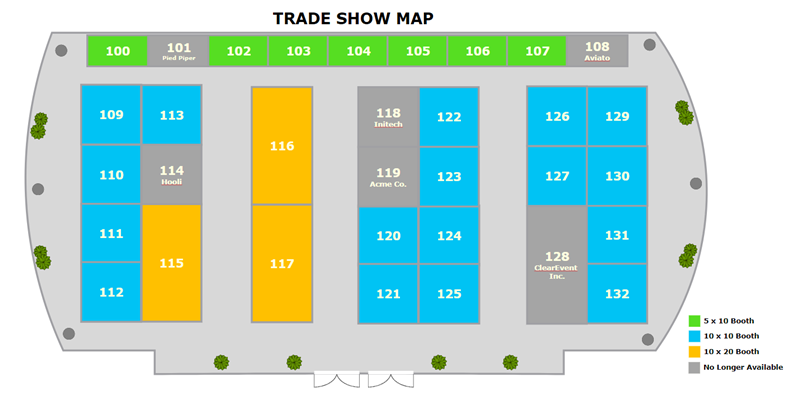 Providing a visual floor plan is an easy way for an exhibitor to see if a location meets their criteria. Most events take the first-come-first-served approach to booth allocation. It’s a great way to encourage early registrations. Keeping this approach in mind, the best way to stay on top of booth assignments is by allocating booths as registrations are received, and adjusting as you go. As you assign a booth number to an exhibitor, update your records for the vendor as well as your master floor plan. You can choose to keep your updated floor plan private or publish a diagram to show which spaces are still available. 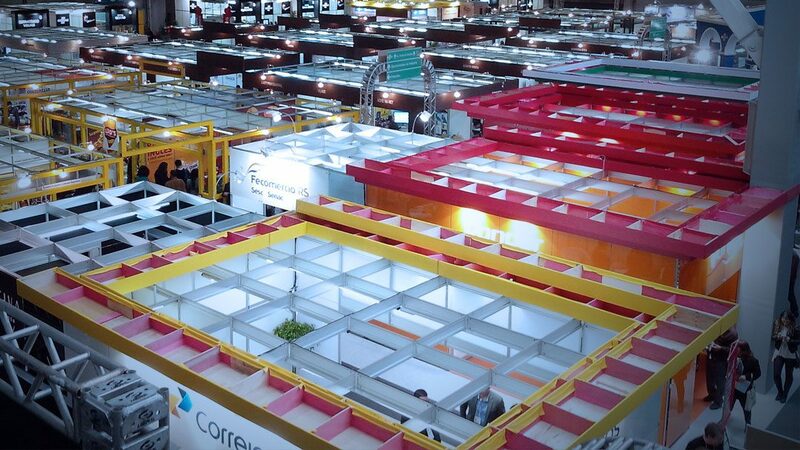 Publishing an up-to-date floor plan will provide insight into how well your exhibitor spaces are selling. It might also help reduce requests for the same space, while also providing urgency to encourage exhibitors to sign up early. When you’re happy with your booth assignments, reach out to your exhibitors. Post booth numbers on your website, event portal or event app. You can include a link to your finalized floor plan, or attach it directly to a message or personalized email. Timing is a fine balance for this. As much as you want to wait until all your registrations are in, keep in mind that your exhibitors will want to know as soon as possible to start marketing to their clients. There are so many ways to manage booth assignments, and every event will have its own set of challenges. You ultimately want to know you have the right suite of tools at your fingertips to help manage all the moving pieces. Go with your gut and do what you know is right for your exhibitors and attendees!